"Never get to say much, never get to talk. 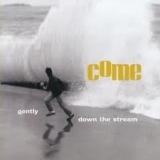 Tell us a little bit, but not too much"
Gently Down The Stream (this album) (1998). Sorry, no matches on eBay for "Silk City Come".